Every month, we’re going to share just one of the hundreds of water projects we’re actively raising funds to help. These reports are prepared by our partners in the field who meet with these communities months before work begins to better understand the water situation. We hope you’ll take a moment to get to know these folks and think about ways you can help us help them find access to clean, safe water. 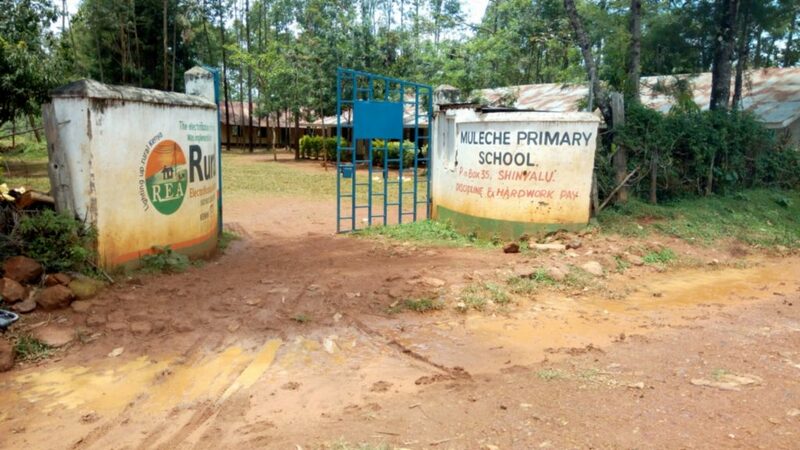 Muleche Primary School opened in 1984 to serve students living in and nearby Shinyalu, Kenya. It has a total enrollment of 434 students, of which 225 are girls and 209 are boys. The local government has found that parents of these students are extremely unsupportive when it comes to education. Many of the parents say that it’s a waste of time if their children can just get by with menial labor jobs like they do. 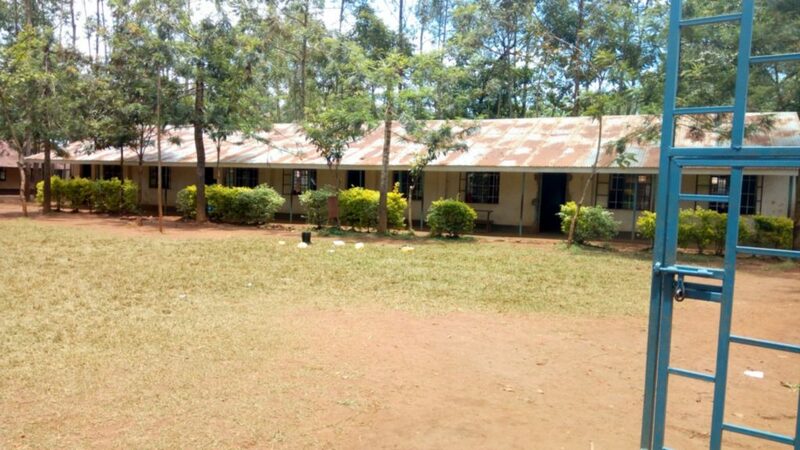 Students arrive no later than 7am to begin a quick cleaning the school compound, sweeping classrooms, and cleaning latrines. Normal classes start at 8am and go until lunch. The day ends at 5pm. There is no water on school grounds. 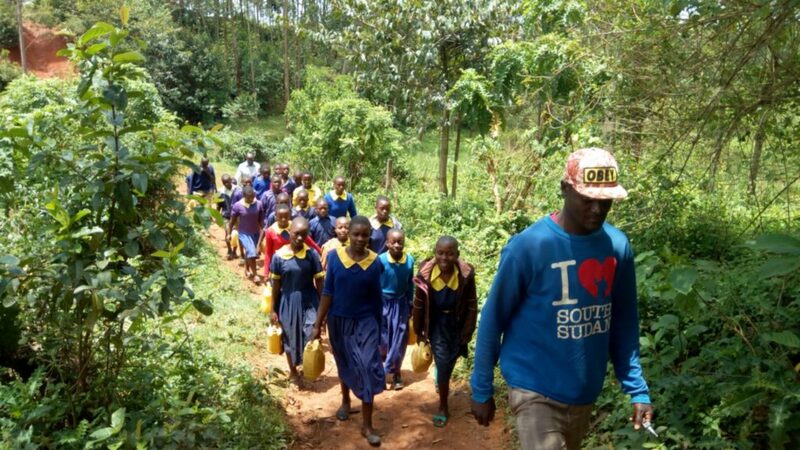 A teacher must take a group of students out into the community whenever they need water. Water is fetched from a slow moving river which looks more like a swamp. There are plants growing in the water, and it has a bad odor. There is no alternative water storage at school, so water is kept in these small plastic jerrycans until it’s used. 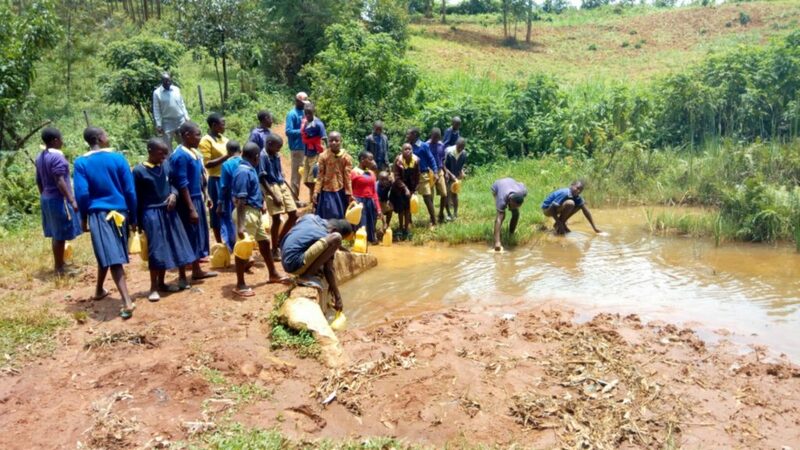 Some students crouch down at the banks to dip their containers under the water, while others wade in to where the water is deeper. The teachers refuse to drink this water and instead bring their own from home. Once, a teacher decided to be brave and try the water, and he suffered the same sicknesses his students suffer from. There would be enough latrines for boys and girls if the majority of them weren’t broken down. 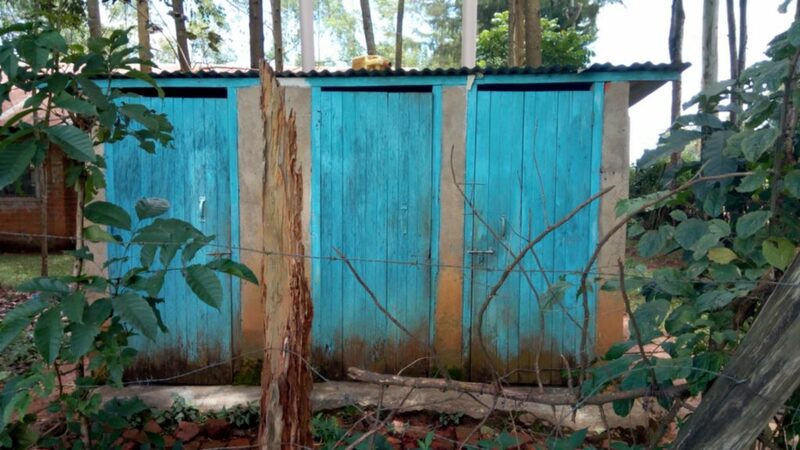 Though the boys’ latrines were filthy, the girls’ latrines were surprisingly clean. These girls are also the ones most excited for newer, safer latrines. Though the school is cleaned by students every morning, this is a dry clean. Students refuse to make the trip to the river every morning just for cleaning, and opt to live in a dirty environment. If water was used to mop the classroom floors every morning, it would keep the dust down and prevent jiggers. 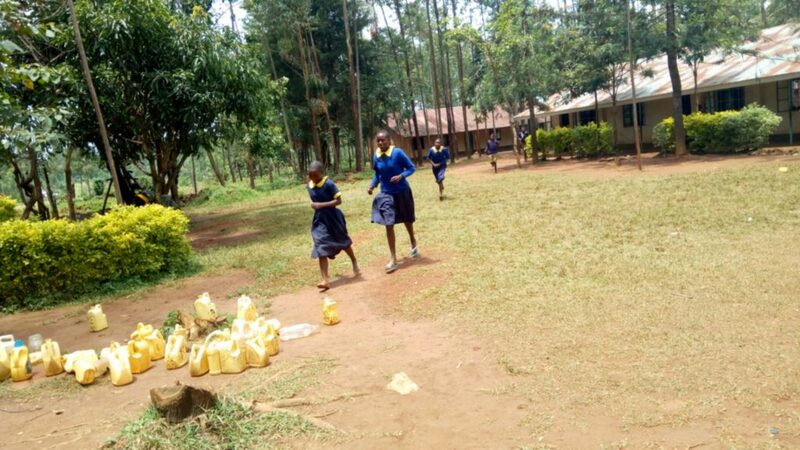 The school embraced hand-washing at one point by setting up a station, but it is emptied quickly and sits unfilled in order to ration water. Here’s what we plan to do about it. You can donate directly to this project to help us provide a reliable source of clean, safe water and proper hygiene and sanitation facilities including latrines and hand-washing stations. We hope you’ll join us.